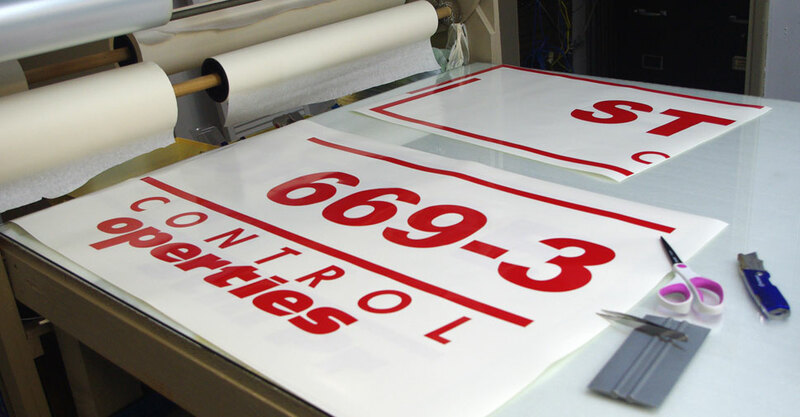 For our standard vinyl printing we use a 4 mil glossy white PCV permanent adhesive vinyl with air release technology. 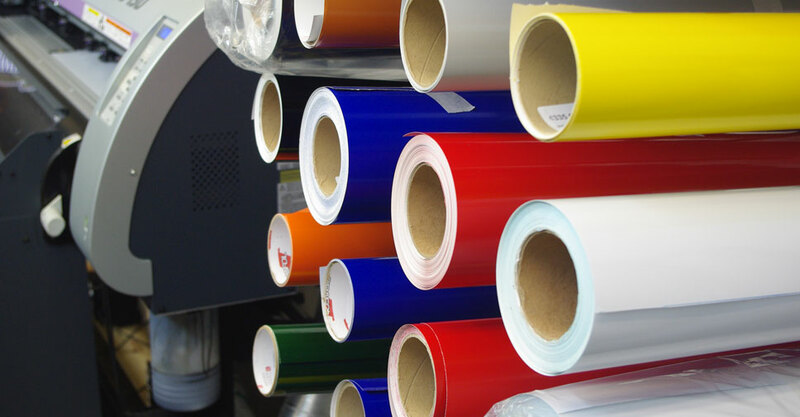 By special request we offer vinyl with protective clear laminate which can help add years to the life of the vinyl. 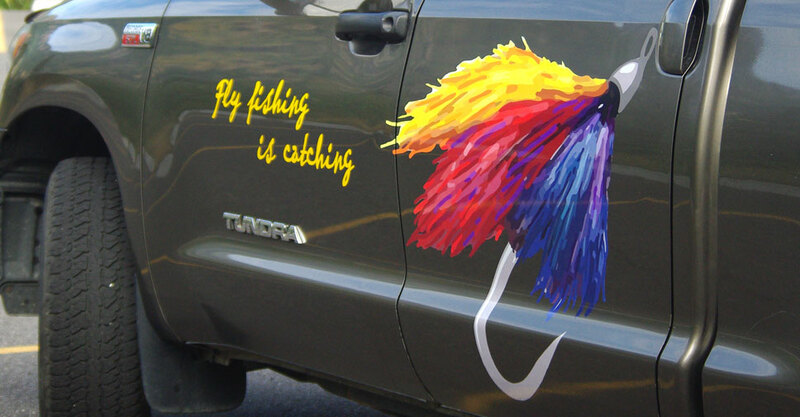 Vinyl can be printed on one side and applied to any clean hard smooth surface. It'll take a little effort but it's also removable if/when needed. Our vinyl cutter cuts solid color vinyl into lettering and graphics by following vector lines in our computer. For our standard vinyl we use a 2.5 mil glossy PCV permanent adhesive calendared vinyl. 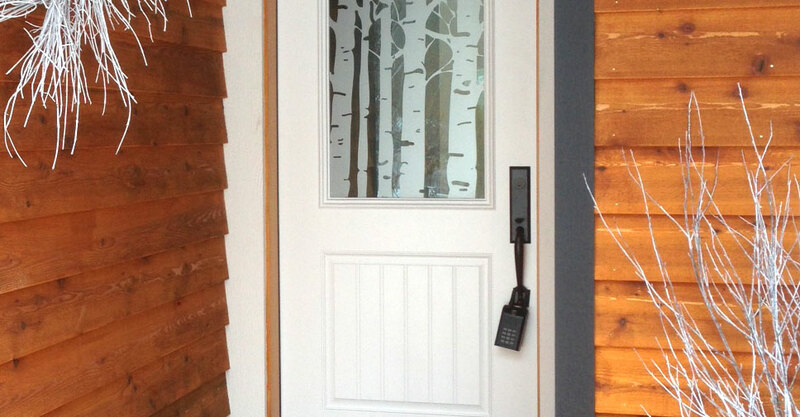 By special request we offer longer lasting cast vinyl, or solid color vinyl with air release technology. Vinyl can be applied to any clean hard smooth surface. It'll take a little effort but it's also removable if/when needed. Vinyl can be applied to any clean hard smooth surface, and it's easy to remove when needed. 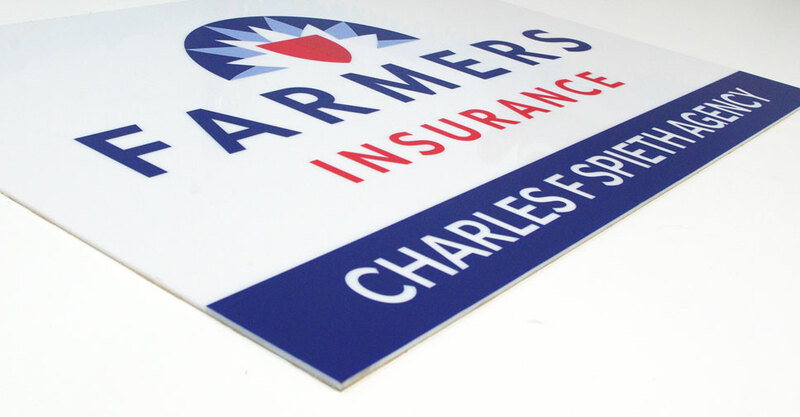 Made primarily for back-lit signs or light boxes, translucent vinyl can be applied to any clean hard smooth surface, but most often is applied to translucent plastic substrates. It has a long term permanent adhesive. Reflective vinyl illuminates at night when a direct light source shines on it. It can be applied to any clean hard smooth surface, and has a long term permanent adhesive. Perforated window vinyl has lots of small holes punched in it and is 50% printable and 50% open with a black adhesive on back allowing viewers to see through the window from the inside. It can be applied to any clean hard smooth surface, and has a long term permanent adhesive.